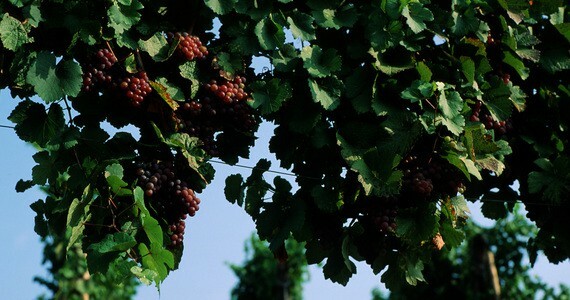 Vines have been grown in Alsace since the Roman era, but evidence shows that grapes were already used for non-wine making purposes before this age. Evidence of wine transportation on the Moselle and the Rhin rivers can be traced back to the 2nd Century, showing the existence of an important wine trade. The wines of Alsace are mostly white and display strong Germanic influences- it is the only region in France to produce mostly single varietal wines, typically from similar grapes to those used in German wines. The winemakers of Alsace have even adopted the German practice of naming their wines according to the grape variety- an unconventional practice for a French region. The Vosges Mountains are a key element of the Alsatian landscape, as they protect the vineyards by blocking rain coming in from the west. Therefore thanks to the mountains, the vines enjoy a relatively dry climate creating a favourable environment for their growth. 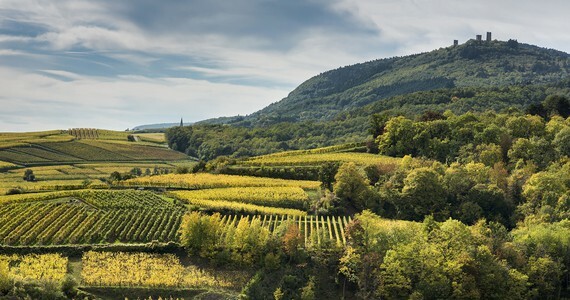 With no less than 13 distinct types of terroir, the Alsace region has an incredibly wide range of soil types (granite, limestone, schist and sandstone amongst others), thus explaining the great diversity of the Alsatian wines. There are actually ten permitted grape varieties under the Alsation AOC regulations, however lovers of Alsace wine are most familiar with the four “noble” varieties: Riesling, Pinot Gris, Muscat and Gewurtztraminer. Some of the world’s most highly-regarded dry Rieslings are produced here, but Alsace is also noted for its production of the very aromatic Gewurztraminer wines. Riesling is Alsace’s most famous wine, with aromas of lemon, grapefruit, peach, pear, flowers and spices. 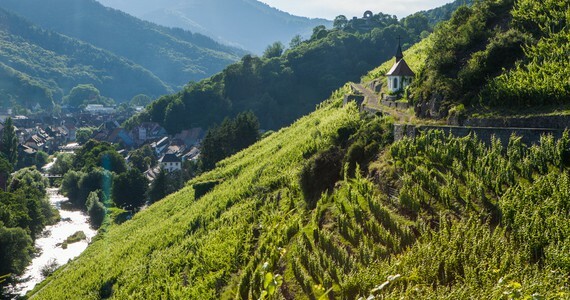 A good balance between freshness and acidity, which are both traditional characteristics of Riesling wines, the Alsace Rieslings marry very well with goat’s cheese, charcuterie, seafood, poultry and pork dishes, as well as Asian cuisine. Gewurztraminer enjoys a variety of aromas including exotic fruits, flowers, citrus and spices. Its structure matches well with many aromatic and intense cuisines, for example Indian dishes, strong cheeses, dates or figs. Muscat d’Alsace tends to be drier than the other Muscat found in France and from the Moscatos of Italy, and therefore is quite unique. Pinot Gris boasts lovely smoky notes, as well as a touch of dried fruits, honey and gingerbread. Its freshness pairs well with game, roasted pork, mushrooms and truffles. 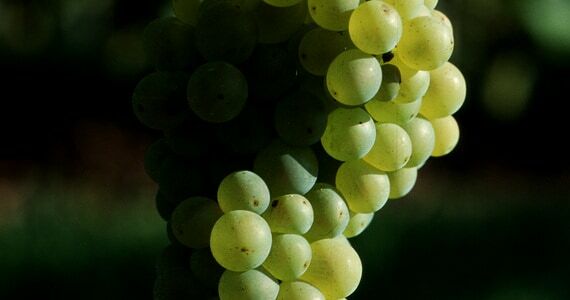 Pinot Blanc wines are often slightly acidic, with notes of fresh fruits such as peaches, pears and yellow apples. They are often paired with light fish, poultry and egg-based dishes as well as the traditional Alsatian tarte flambée or flàmmeküeche, but can also be enjoyed as an aperitif. Sylvaner is a refreshing, lively and easy drinking, and ideal for an apéritif or with light dishes. Pinot Noir is the only variety used in Alsace to produce red wines or rosé, particularly the Crémant d’Alsace Rosé. It has a delicate taste of cherry, and can be aged in oak barrels for a more complex structure. 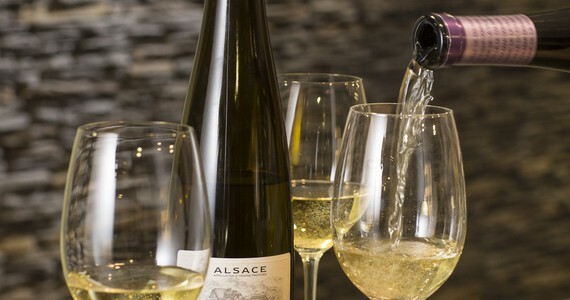 Crémant d’Alsace is an elegant, bubbly wine with mineral, citrus and flower notes. Rosé Crémants have a characteristic taste of red berry fruits and rose petals. They can be enjoyed in many occasions and match quite well with all sorts of food. 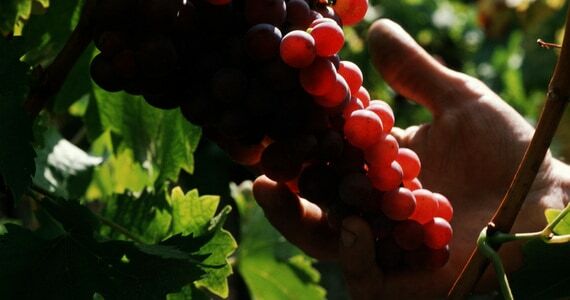 It is also worth noting that the region is famed for its Late Harvest wines, made from grapes which have been left on the vine longer than usual, and its botrytised dessert wines. 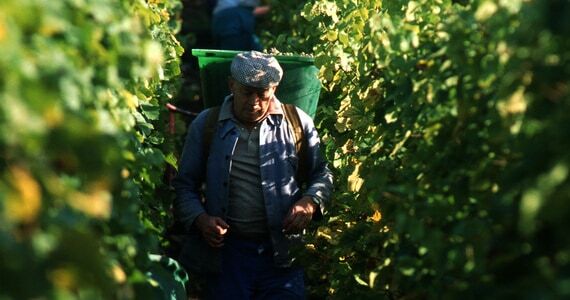 Almost all production in Alsace is of AOC wine, as Alsace is not covered by a Vin de Pays region. 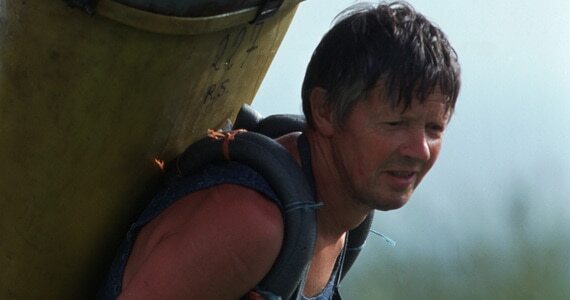 All in all- SUPERB and amazing value for money. I will most definitely be recommending you to others and using you again myself!! !